Wood; Hawkins, Lynch, McGuinness; Doyle, Russell, Osam, Gormley, Croly; Gilzean, Molloy. Subs: Reilly for Gilzean (52 mins), Braithwaite for Molloy (84 mins). Williams; Reddish, Gollogley, Brady, Crawley; Thew, Fortune, Campbell, Byrne; Ward, McNulty. Subs: Martin for Byrne (30 mins), Brennan for Thew (67 mins), Dunne for Campbell (68 mins). 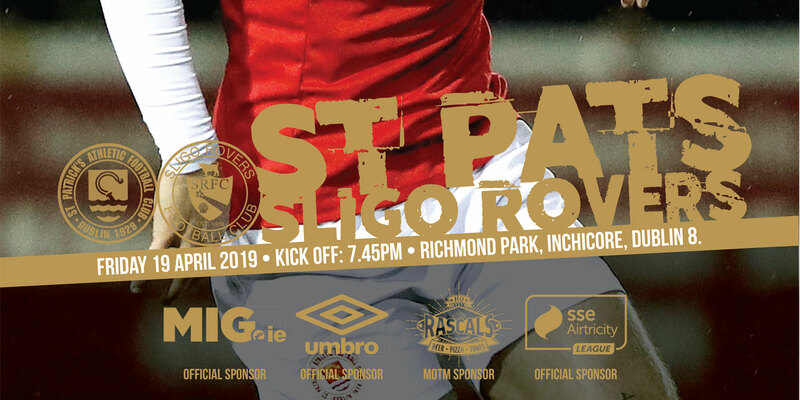 St Patrick's who were looking to avenge for the costly defeat of their last meeting started brightly in this game and outplayed their counterparts for the majority of the match. 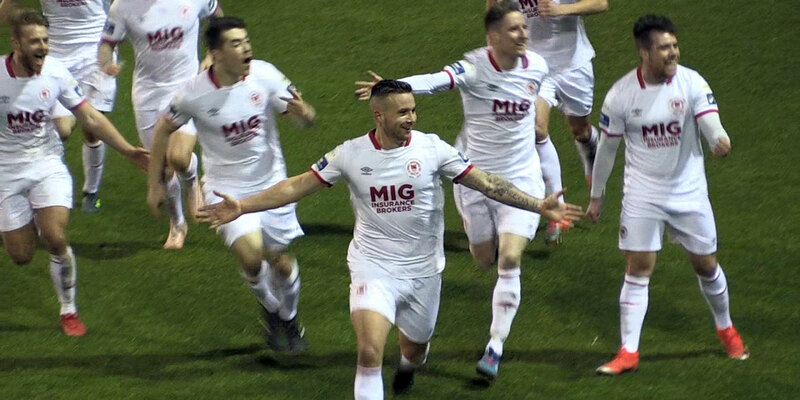 In a highly skillful and entertaining match St Patrick's restored their five point advantage over Cork City at the top of the National League. With the Supersaint midfield of Gormley, Osam and Russell running the show there was little doubt in the result, it was only a pity that there wasn't a few more goals to top off a commanding performance. With chances a plenty for St Patrick's in the first-half, Dundalk found themselves defending far too deeply. Without Williams in outstanding form Dundalk could have found themselves three or four down in the first-half. He saved well from a looping Osam header, he reacted brilliantly to parry a powerful header from Gilzean and he had to be quick off his line to avert the danger on a couple of occasions. It wasn't all one way traffic in the first-half. Dundalk had a glorious chance to take the lead when Campbell broke from defence and fed the ball through to Byrne. He ran towards goal but when he was about to blast the ball beyond Wood Lynch slid in with a timely tackle to avert the danger. 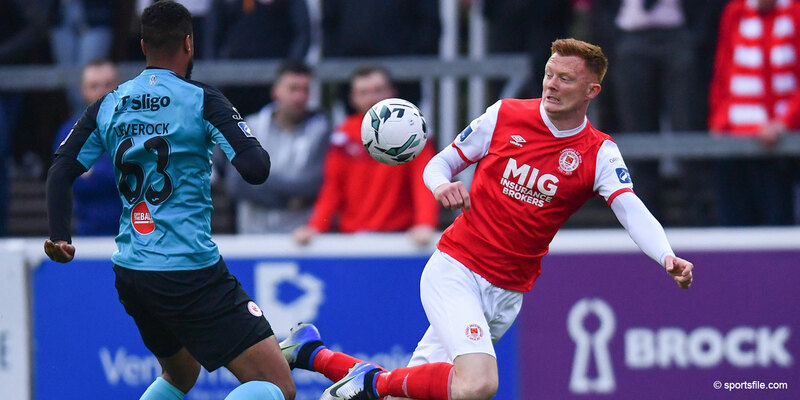 The second-half was just as exciting as the first, however, some dubious decisions by referee John Feighery resulted in Dundalk down to ten men and St Patrick's denied an obvious penalty. After 65 minutes a tackle by Shane Reddish on Russell was seen as a bookable offence by Feighery, his second, and as a result the red card was shown. The pleas from Gormley to change the decision wasn't enough and Reddish went for an early shower. Amazingly, only minutes later the same sort of challenge on Russell by Ward was not seen as a bookable offence. The all important goal came after 74 minutes when Reilly crossed low into the box from the right, Williams failed to avert the danger and Russell bundled the ball over the line from one yard. It was what St Patrick's deserve from all their pressure. St Patrick's now face bottom of the table Waterford on Friday, hoping to continue their impressive league record.